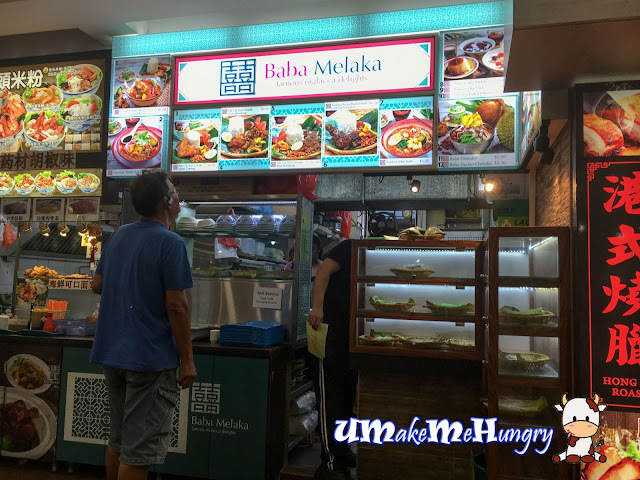 Passing by the coffee shop, the outstanding color of the signage had caught my sight and was surprised that Nonya / Peranakan Food is available in Coffeeshop? I went closer and took a look, making a quick decision that it should be my dinner. The stall amaze me not only for its cuisine but it also search desserts item like Baba Chendol as well as the kuehs. Kuehs are placed on banana leaf in a display cabinet instead of plastic boxes, which is quite an unusual sight for me. 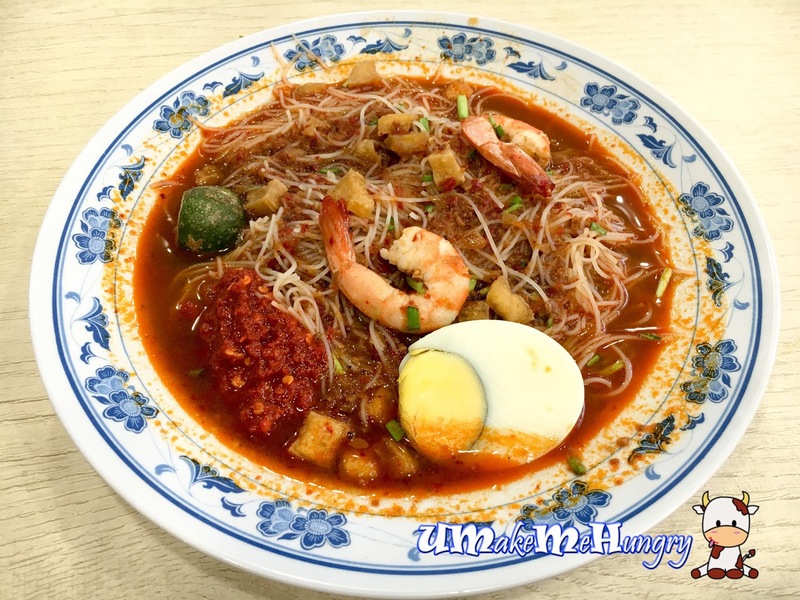 Nonya Mee Siam? The sweet and sour broth with Bee Hoon was appetizing. Served with half a hard boiled egg, 2 prawns an toasted Tau Pok cut into little cubes. The powerful part of the dish is perhaps the chilli that spelt out the difference between the usual Muslim and Nonya taste. 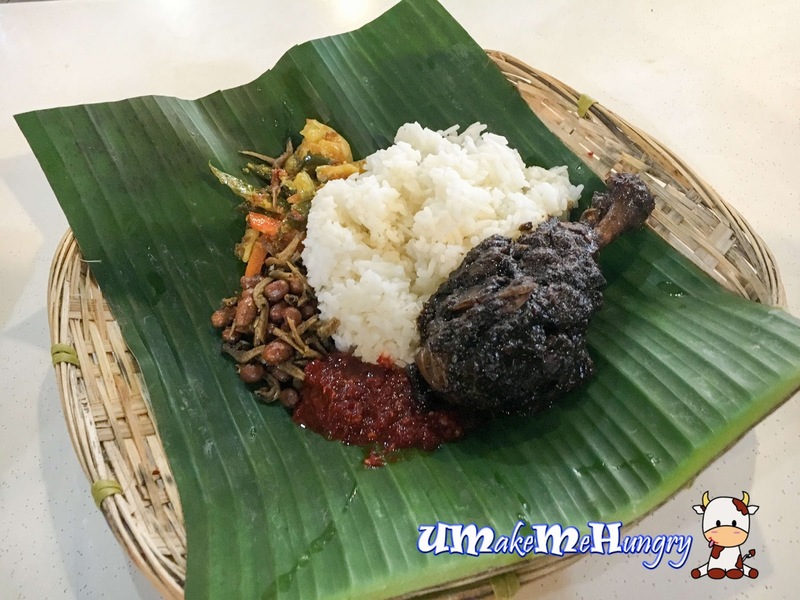 Love how the presentation of rice dishes was served traditionally on the banana leaf with the basket. The rice was packed with coconut fragrance and chicken wings was freshly fried. 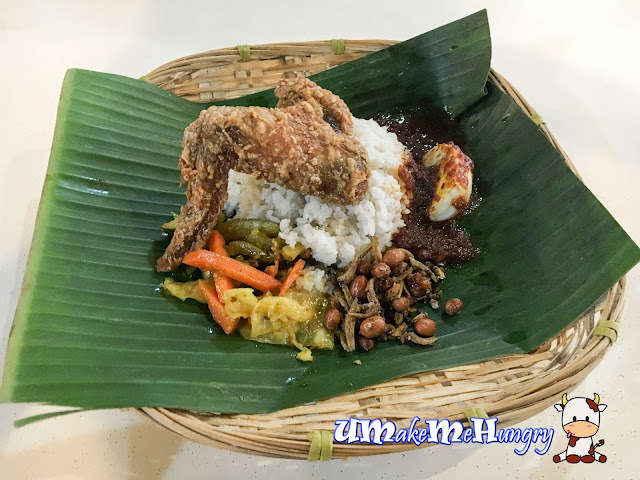 Though it is not the best Nasi Lemak I ever had but it has its style of its own with achar, hard boiled egg and Nasi Lemak's chilli sauce. 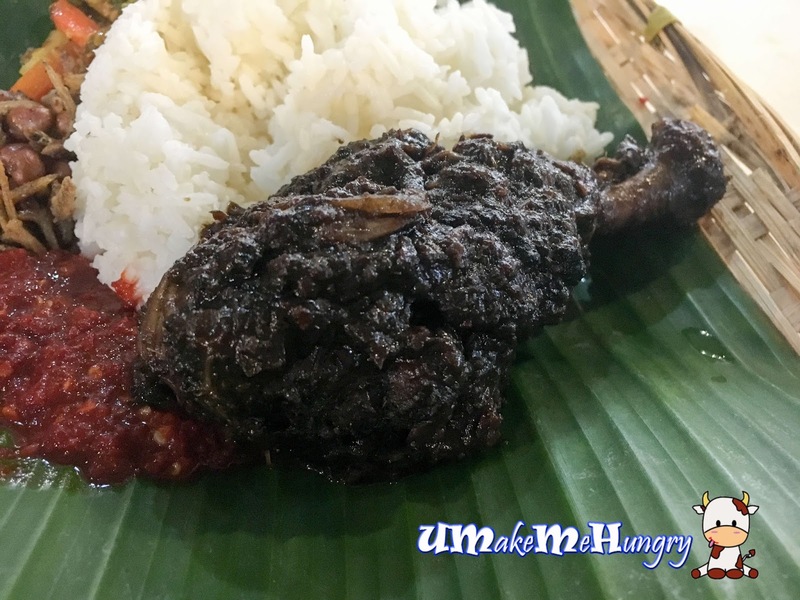 Talking about Buah Keluah as an ingredient in Peranakan Dish, I quite excited to see Ayam Buah Keluah with Steam rice on their menu. Given a chicken drumstick with robust gravy covering up the entire stick, paired with sides like achar, crunchy peanuts with ikan billis and the fiery kick of its chilli sauce. The chicken meat was tender till falling off the bone, recommended if you have not try something like that from a coffeeshop. 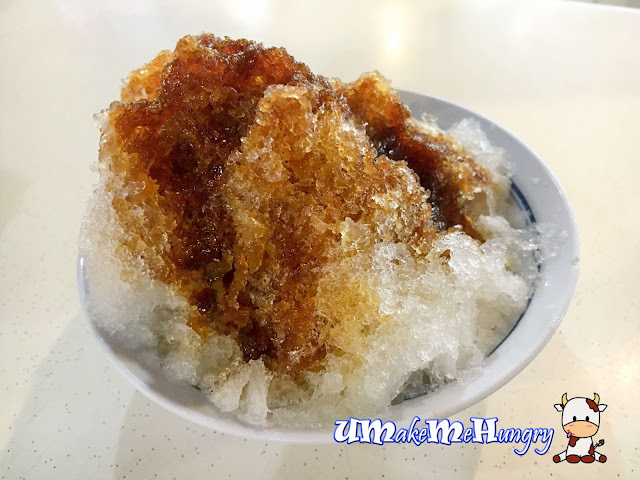 Rounding up the meal, we shared a bowl of icy cold Chendol. It wasn't too sweet but was quite a let down as it did not give me any reminiscent of Melaka Chendol that I had back in Malecca. It was diluted and lacked the taste of the usual Chendol.